What Does a Mail Carrier Do? Mail carriers are primarily responsible for collecting and delivering mail processed by the US Postal Service (USPS). They are federal employees who must meet strict standards in order to be hired. USPS mail carriers deliver mail to homes and businesses in cities, towns, and rural areas. They travel planned routes, collecting and delivering mail, obtaining signatures, and answering customer questions about postal regulations and services. Mail may be delivered on foot or by mail truck, depending on the location. Delivery occurs regardless of the weather, although schedules may be delayed. Mail carriers must perform repetitive tasks, such as sorting and delivering mail, that can result in injury. They must be able to lift heavy mail sacks, as well as deliver mail in all kinds of weather. Medical assessments are performed on job candidates to ensure that they can meet the physical rigors of the job. Mail carriers' salaries vary according to the frequency of their shifts, as employees who work nights and Sundays can earn higher than the normal rate for the day shift. In addition, the USPS pays overtime for hours worked beyond eight in one day or 40 in one week. A candidate hired by the USPS must be at least 18 years old or 16 years old with a high school diploma. College degrees are not required for mail carriers; however, applicants must pass an exam that tests knowledge of mail distribution procedures and the ability to quickly and accurately check names and numbers. Postal employment is limited to U.S. citizens, citizens of U.S. territories, and lawful permanent resident aliens. The USPS does not employ individuals who are only granted asylum, refugee, or conditional permanent resident status. When accepted, applicants must undergo a criminal background check and pass a physical exam and a drug test. Applicants must also have a safe driving record. Carriers are expected to conduct themselves in a professional and efficient manner. A basic familiarity with local geography is a necessity. Knowledge of basic postal laws, regulations, and products is also required. Mail carriers should understand the responsibility with which they are entrusted and perform their duties accurately and professionally. According to the U.S. Bureau of Labor Statistics, employment of USPS mail carriers is expected to decline 12% to 2026. Automation of the mail sorting process reduces the amount of time that carriers spend on mail sorting. Therefore, mail carriers will have time to expand their routes, which will reduce the need to hire more carriers. Much of a mail carrier’s time is spent outside of the post office, where weather conditions can be a factor in executing job duties. 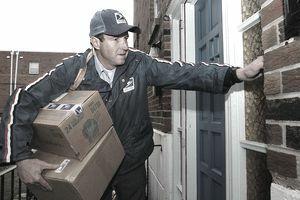 Urban routes often require carriers to deliver mail by foot, while carriers working in suburban and rural routes drive to mail delivery points. Most USPS workers are employed full-time. However, overtime is sometimes required, particularly during the holiday season. Because mail is delivered six days a week, many USPS workers work on Saturdays. Some may also work on Sundays. If you think a career as a mail carrier may be right for you, visit the USPS Careers page. You can find more information about working for the USPS, current openings, and the online application process. As part of the online application process, candidates are required to take an exam. It comprises several sections that assess an applicant's personality, attention to detail, and memory. It also has a section on post office procedures, for which applicants have the list of procedures at hand while they answer the questions. Also look at resources such as Indeed, Monster, and Glassdoor for the latest job postings.